Quick, what five adjectives come to mind when you hear the term “effective leadership?” Now, pause for a moment and attempt to draw a relationship between each of the words you chose. For the sake of the remainder of our time together today, kind reader, let’s say that every item on your list has a positive connotation. Yes, you read correct, a “positive” connotation. The reason for the association is because we naturally assume “effective leadership” leads to a beneficial effect. If this is true, then why are we so often hesitant to implement approaches to leadership that originate from the heart? Can it not be said that the underlying source of any new direction is also reflected in the tone of the outcome? In other words, in order to have a “positive” impact as a leader, don’t we need our intentions and mindset to source from a place of kindness? No one is excluded from the capacity to cultivate leadership from the seeds sown by the possibilities of kindness. That is to say, we are all able to be kind and to maximize our “kindibility” in every aspect of our life. “Kindibility” is the product of integrating the possibilities of kindness with emotional intelligence, mindfulness and positive psychology. Leadership from a mindset of high “kindibility” aims to create the space to solve problems and fulfill needs by ensuring the best possible outcome unfolds that is bigger than the individual leader’s ego. It is surrendering a personal agenda in favor of a collective creation of creative legacy. 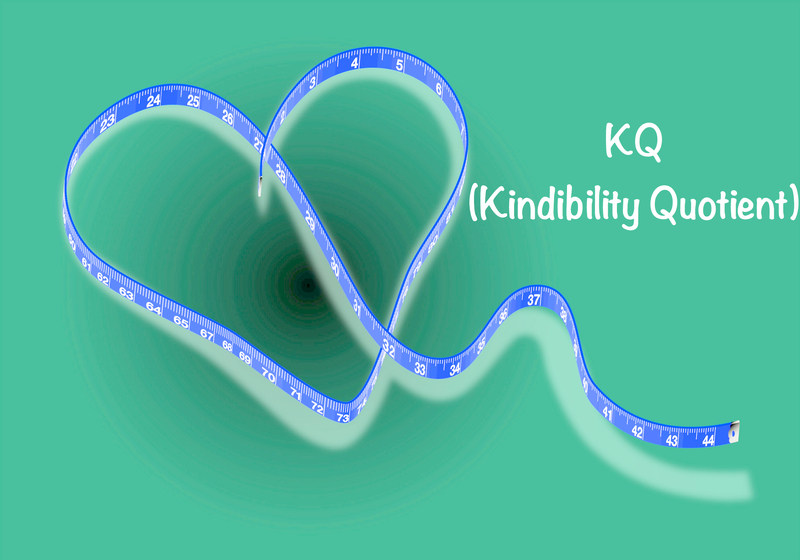 Drawing upon the proven measure of emotional intelligence, Emotional Quotient (EQ,), “kindibility” seeks to extend its reach beyond the workplace and into personal relationships. A high “kindibility quotient” (KQ) equates with a great propensity to base decisions and perceptions upon creating conditions to manifest the possibilities of kindness, emotional intelligence, mindfulness and positive psychology in action. Whether you are the “leader” of a multi-billion-dollar corporation or the “head” of your children’s carpool, the possibility to practice “kindibility” always exists. Being kind does not mean being a pushover or a doormat. It merely means checking your own ego at the door and being willing to let go of any investment you have in a specific outcome unfolding. True strength is not being forceful in order to make others do your bidding; real power emanates from creating the conditions for others, including yourself, to choose the best response to each situation. By no means am I saying that you cannot have a preference for an outcome, just do not be invested in only a specific result occurring. If we as leaders pre-judge the end to any event, we might miss the “holy-grail” catalyst for change that our preconceptions blinded us from discovering. Could you imagine a world, a workplace or a relationship where the heart and mind coexisted peacefully as “decision makers?” This “utopia” is the reality of high KQ leadership. What can you do each day to increase your KQ as a leader? Let’s use today as the catalyst to begin the lifelong journey of maximizing our KQ and leave a legacy of leadership by “kindibility.” I’d love to hear from you. Next ArticleWhere Do You Go Now?